We decided to add some color to the world of white outside and made some natural sun catchers. 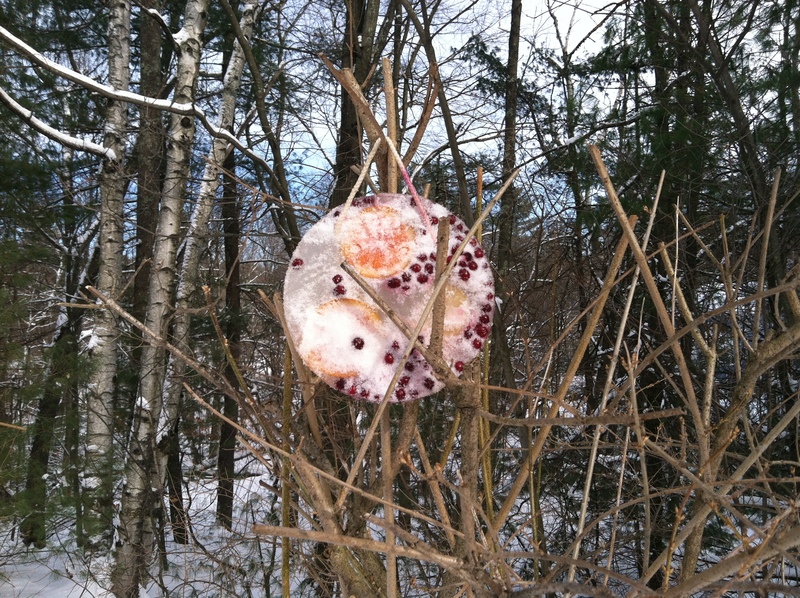 Using cake pans, some old fruit, rope and water….we were able to make these beautiful pieces of art. 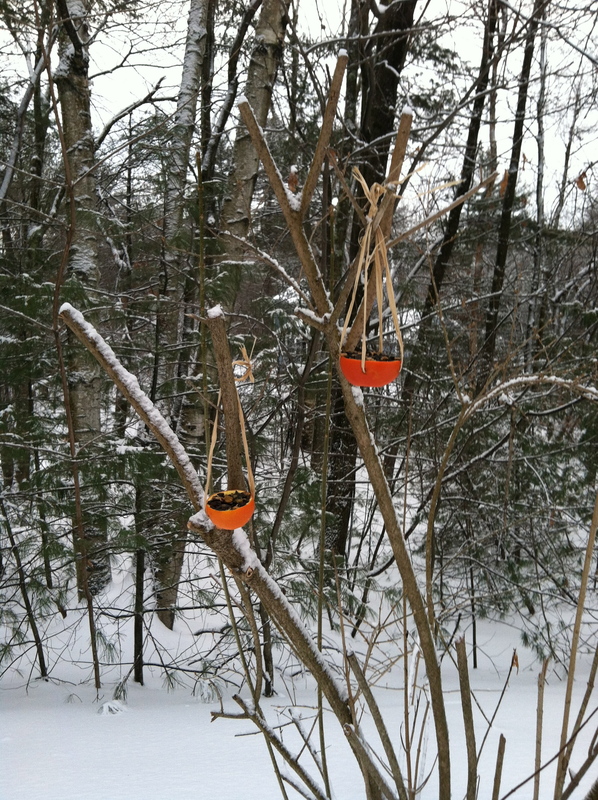 Our friends also made us sweet little bird feeders out of oranges for Valentine’s Day. 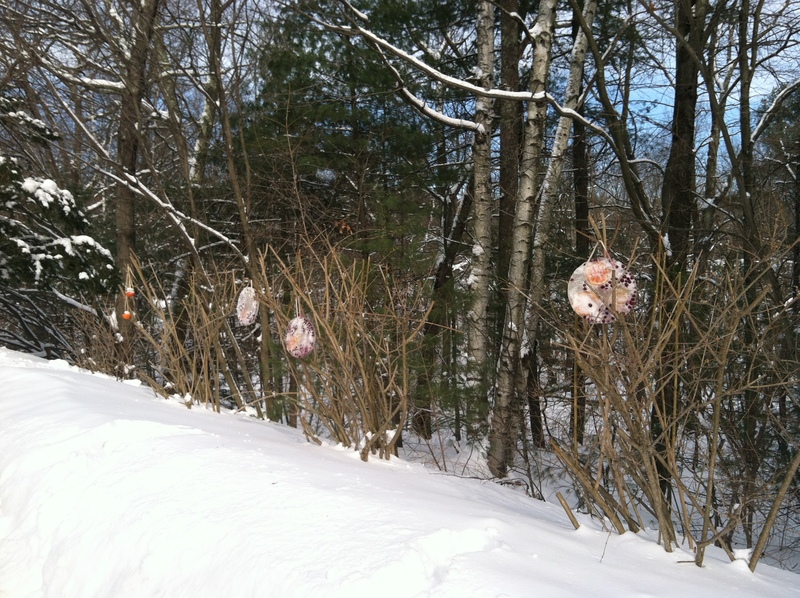 These too hang in our driveway and the birds have been loving them! We all need a little more color at this time of year and this really is a fun way to do that.